Osteoarthritis and osteoarthrosis treatment in Yaroslavl - Center "PROGRESS"
Osteoarthrosis is one of arthritis forms (distort osteoarthrosis, arthrosis, distort arthrosis), it is a progressing degenerate and dystrophic disease of joints affecting all its elements: cartilages, ligaments, articulate cover, circumarticular muscles and bones. The initial reason is affection of the cartilaginous tissue of joint surfaces. As the surface of the bone loses cartilaginous protection, the patient starts feeling pain during the physical activity on the affected joint. It leads to decrease in the physical activity as the patient spares the joint trying to avoid pain. In turn, a low physical activity of the affected joint is a reason of muscles weakening and shortenings of sheaves. inflammation, its reasons are autoimmune diseases or the infectious process. Symptoms: the joint loses its ability to resist to loading, which is habitual for it, and the overload of the joint is followed by the beginning inflammation and a pain syndrome. Reasons: if it is the first or initial stage of arthrosis there are no expressed disorders of the joint tissues. There is decrease in nutrition of cartilages and meniscuses of the joint which “take away” necessary substances and microcells from synovial (intra articulate) fluid. At the initial stage of the disease muscles, which make movements in the joint, are weakened, but in general aren’t changed. Symptoms: there is a feeling of easy fatigue, pressure in the affected joints, especially after intensive physical activities. The acute pain accompanies even minimum movements. Quite often the pain syndrome and inflammation get a chronic form. Reasons: destruction of the articular cartilage and meniscuses begins in the second stage of the disease. The bone reacts to the loading with different growths — osteophytes. Weakening of the muscles function because of the microcirculation disorder is observed in the second stage. Symptoms: the expressed bone deformation which changes an extremities axis. Depending on the joint type there is unnatural mobility of the joint, or sharp restriction of range of motions (there are contractures). Chronic inflammation and a chronic pain syndrome have a more expressed character. Reasons: the physical activity is sharply broken, the changed range of motions of the affected joint changes normal points of muscles and sheaves. It is followed by shortening or strain of the muscle, decrease in its ability to normal reduction. 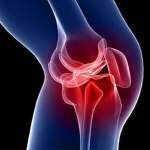 Disorders in nutrition and microcirculation in the affected joint make the situation worsen. If at the beginning of the disease there is pain from time to time after considerable physical activity, and it quickly disappears in rest, in the process of disease progressing the intensity of pain increases, and it doesn’t disappear after rest and appears at night. Clinical presentations and an approach to treatment of osteoarthrosis depend on localization of the injured joint.